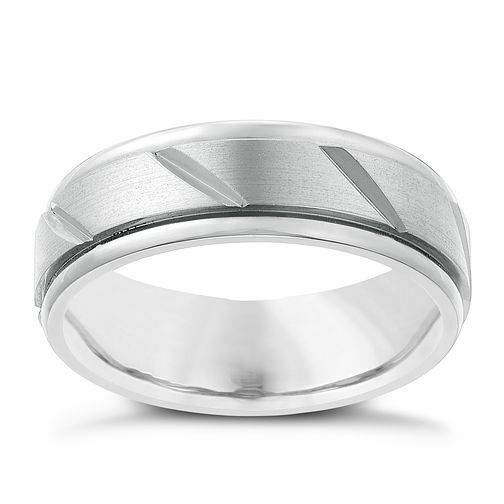 Crafted from titanium, this 7mm band features polished edges with a matt central stripe. Finished with a diagonal groove design running across its centre, this ring mixes contemporary style with the durability and attractive finish of titanium. Titanium 7mm Matt Finish Ring is rated 3.0 out of 5 by 3. Rated 4 out of 5 by Anonymous from Good wedding ring I bought this in the sale but still a great price at full retail. My partner loves the design and it was very easy to change it to a different size.